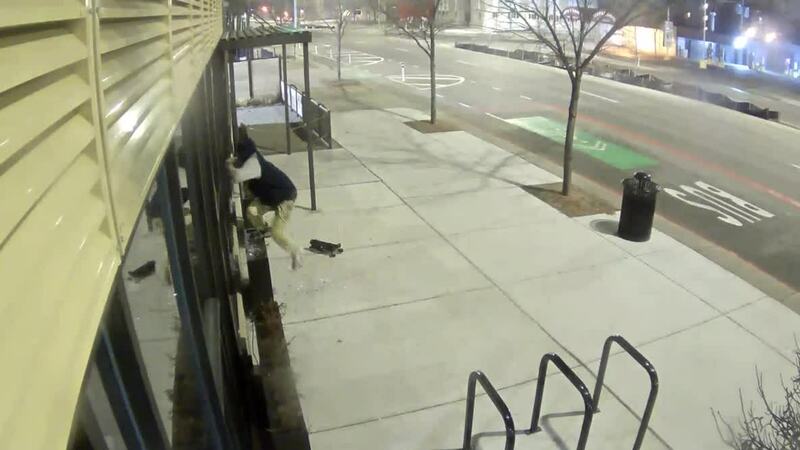 A suspect was caught on camera using a car jack to break the window of one of Detroit's Project Green Light businesses. 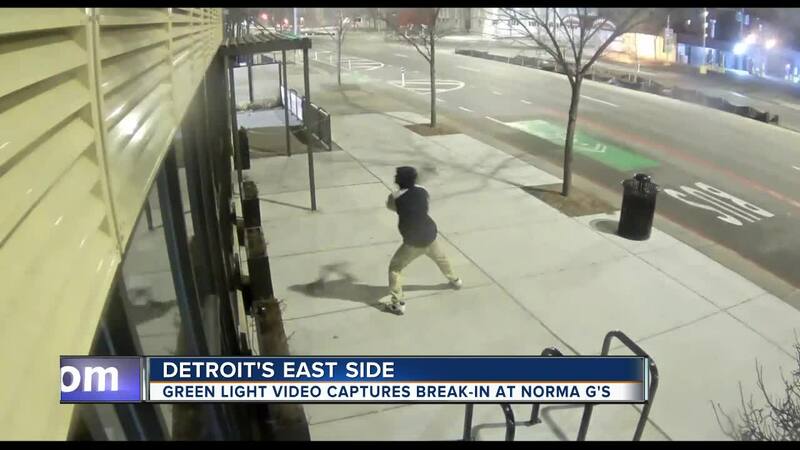 DETROIT (WXYZ) — A suspect was caught on camera using a car jack to break the window of one of Detroit's Project Green Light businesses. The break in occurred Tuesday, Jan. 15 at 3:30 a.m. at Norma G's Caribbean Cuisine restaurant, which is located in the 14000 block of E. Jefferson. According to police, a male suspect threw the car jack through the front window of the business until it shattered. He entered the location and took several bottles of liquor, then fled northbound on foot. "It was ridiculous to see just someone walking down the street at 4:27 in the morning and you pick up an automobile jack and throw it through a window," said Lester Gouvia, owner of Norma G's. "He had to throw it three times to break the window." Lester says nothing like this has happened before. His restaurant is also a green light partner with the Detroit police. "We’ve only been open five months," he said. "This is the first time." Lester says the suspect took several bottles of alcohol, before fleeing the scene. Project Green Light offers a partnership with the Detroit Police Department where area businesses, including gas stations, place real-time cameras outside of the buildings. Those cameras are connected directly to the Detroit police headquarters. The program is aimed at fighting crime in the city. The suspect is described as an unknown man in his early 20s. He was seen wearing a dark colored hooded jacket with grey long sleeves, tan pants and black and white shoes. "Right now it’s well over $500 to patch it up and I’m sure it’s going to be three or four times that amount," Gouvia said. He says the cost to fix everything is more than the suspect stole, but he isn’t worried about an incident like this happening again. "There are stupid people out there and people do stupid things," Gouvia said. "But it’s not going to deter me. I’m here to help this neighborhood grow and comeback and I’m going to keep doing it." If you have information on this crime, contact the Detroit Police Department's Fifth Precinct Investigative Unit at 313-596-5540, or Crime Stoppers at 1-800-SPEAK-UP.